This review is reproduced here by kind permission of the online inter-disciplinary journal Cercles, where it was first published. The original text has been reformatted, linked and illustrated for the Victorian Web by Jacqueline Banerjee. Click on the images for larger pictures, bibliographic information and commentaries. This is a very useful volume, presenting, as it does, FitzGerald's life and letters in a cleverly arranged variety of forms which permit anyone, from beginner to expert, to select and focus on almost any aspect of that writer's life and work. Not all of Fitzgerald's letters have survived, but there are enough to fill four large volumes in the standard edition put out by Alfred and Annabelle Terhune and published by Princeton University Press in 1980. Martin and Mason's one-volume distillation opens with a 43-page sketch of FitzGerald's life, followed by 130 pages of skillfully chosen excerpts from the letters themselves, thus giving us FitzGerald in a nicely curated selection of his own words. But it is the third section of the book that makes it so unusual and valuable. This is a series of tables and charts showing what subjects FitzGerald wrote about and to whom, lists of his books and his writings — all appropriately detailed. And there are tables showing where he lived at any given time, lists of his friends and acquaintances, tables showing how many letters he wrote each year, and so on and on. For example, one can quickly isolate and examine FitzGerald's interest in Lucretius — the author of De Rerum Natura —, a book with strong parallels to the Rubaiyat: see what he had to say about him and learn that he refers to Lucretius more often than to any other classical writer except Sophocles. One can also quickly learn that FitzGerald wrote to his University friends far more often than to family. Or one can learn that Alfred Tennyson loomed twice as large in Fitzgerald's imagination as any other contemporary poet, the next most frequently mentioned being Browning. 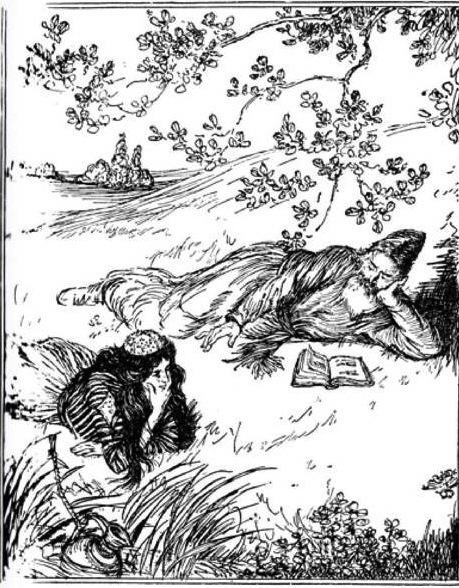 Edmund J. Sullivan's illustration to verse 19 of Fitzgerald's Rubáiyát of Omar Khayyám (1913). Martin and Mason's volume thus gives anyone, from student to seasoned scholar a very useful new tool for understanding the poet behind the Rubaiyat of Omar Khayyam, and also for understanding, in colourful and authentic detail, a great many separate aspects of Victorian life and literary culture. For anyone with an interest in FitzGerald, his Rubaiyat and his era, this is a welcome, indeed an indispensable volume. [Book under review] Martin, William H., and Sandra Mason, eds. 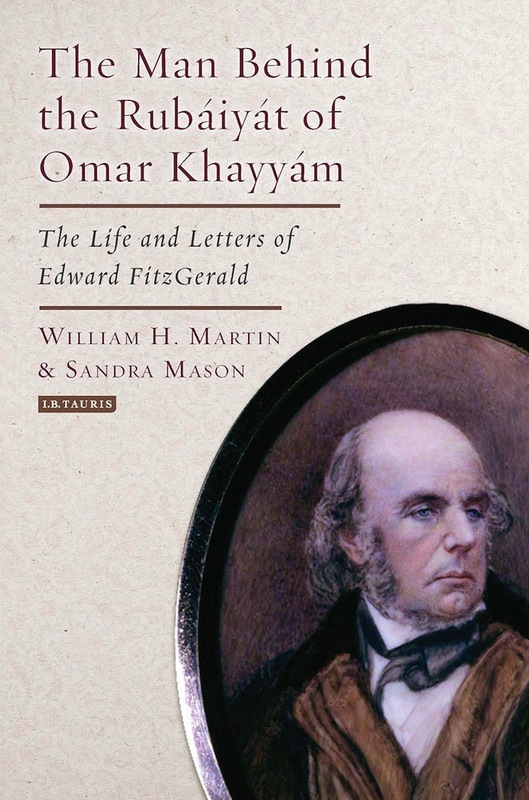 The Man Behind the Rubaiyat of Omar Khayyam: The Life and Letters of Edward FitzGerald. London: I.B. Tauris, 2016. Hardcover. xiii + 274 pp. ISBN 978-1784536596. £25.